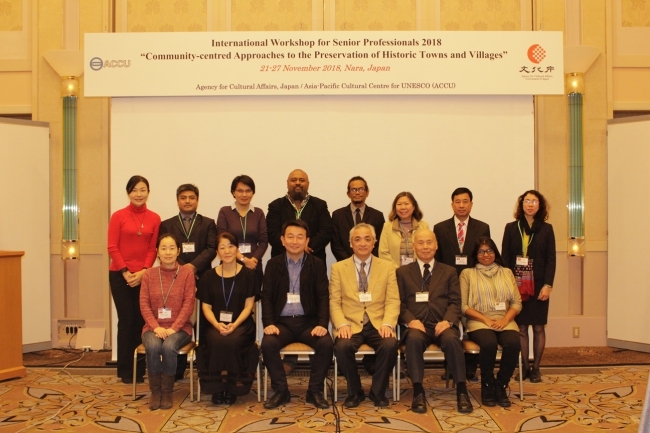 World Heritage Institute of Training and Research-Asia and Pacific - WHITRAP Suzhou attended The "Intelnational Workshop for Senior Professionals 2018 - Management of Historic Cities and Community Cooperation"
WHITRAP Suzhou attended The "Intelnational Workshop for Senior Professionals 2018 - Management of Historic Cities and Community Cooperation"
The "Intelnational Workshop for Senior Professionals 2018 - Management of Historic Cities and Community Cooperation" hosted by the ACCU Nara was held in Nara, Japan from November 21 to 27, 2018. 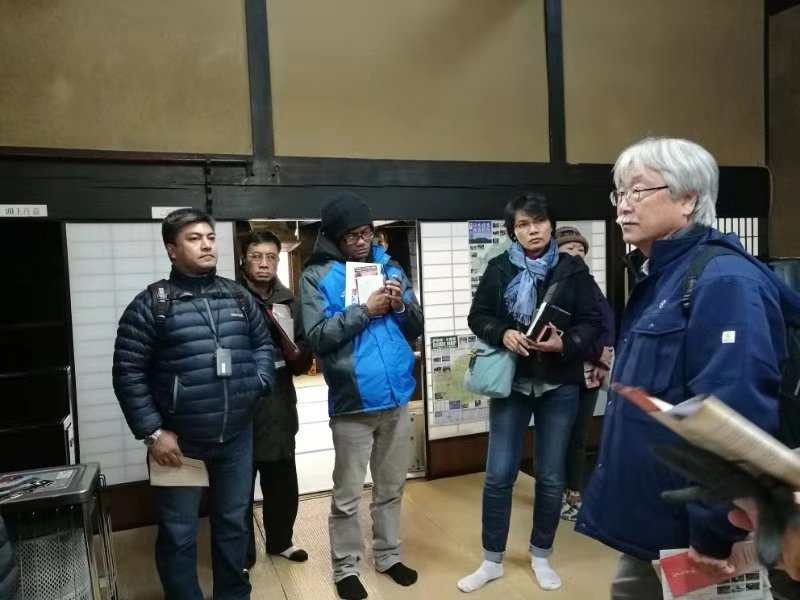 Experts from 9 countries in the Asia-Pacific region, including China, Vietnam, Laos, Cambodia, Philippines, Nepal, Sri Lanka, Fiji and Vanuatu, in the field of world heritage conservation participated in the workshop. Representative from WHITRAP Suzhou attended the workshop and made a presentation centering on the Suzhou Garden conservation. Focused on the management and community cooperation of historical cities, the workshop conducted in-depth discussions on how to encourage communities to actively participate in the protection of urban historical and cultural heritage to ensure the sustainable development of cultural heritage sites through keynote speeches of Japan’s historical city conservation system, historical city preservation and community cooperation by Japanese experts from the Agency for Cultural Affairs, the Kyoto Institute of Technology and the Hokkaido University, the presentations regarding the status and challenges of the protection and management of the historical cities of the participants and field trips to Japan's historical towns. The workshop worked as a platform for participants to share and discuss the successful experience of Japanese historical townscape preservation, in combination with the practice of urban heritage protection in the countries where the participants are located, exploring the significance of promoting community participation in cultural heritage conservation to protect the cultural heritage of urban and rural areas.